Bitcoin prices have soared in the past month, defying skeptics who thought the bubble burst in April. Bitcoin has been surging to new highs as investors, especially those in China, become increasingly optimistic about the digital currency's potential growth. The price of one bitcoin hit a record of a record of $395 on Saturday on the Mt. Gox exchange. The virtual currency trades 24/7 on Mt. Gox and other exchanges around the world. Bitcoin was approaching $400 again Tuesday, reaching a high for the day of $391.53 in early morning trading. Bitcoin was created anonymously in 2010 as an experimental form of money that exists only online. It is not managed by any central authority and is "mined" by solving complex math problems using powerful computers. There is also a finite amount for the number of bitcoins that will ever be in circulation. It's been an extremely volatile year for Bitcoin, which traded at $20 in December. The price shot up to $266 in early April, when fears about a bank run in the tiny island nation of Cyprus led to worries about the stability of the euro currency. Once the Cyprus crisis was resolved, Bitcoin prices crashed back to $50 later in April. So why is Bitcoin rallying again? The latest surge comes on the heels of strong demand in China, said Nick Colas, market strategist at ConvergEx Group, a global brokerage company based in New York. "The Chinese demand has been the big driver in the last two weeks," he said. "You can see that in the volume charts." BTC China, the leading Bitcoin exchange in China, recently surpassed Japan-based Mt. Gox last week in terms of global trading volume for the digital currency. Bitcoin was recently featured in favorable reports on China's state-run CCTV television network and in government-backed newspapers. It has also gained popularity since Baidu (BIDU), China's leading search engine, announced plans to accept Bitcoin as payment for some services. "The demand out of China has been pretty staggering," said Barry Silbert, founder and CEO of SecondMarket, the parent company of Bitcoin Investment Trust, which was recently launched as the first U.S.-based investment fund dedicated just to Bitcoin. "We're seeing the early signs of money coming into Bitcoin as an asset class," Silbert said. 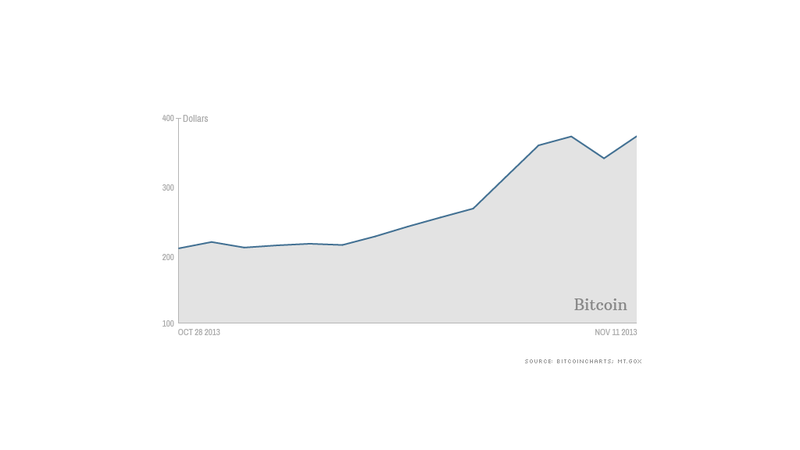 The Bitcoin Investment Trust has amassed $15 million since it launched in September. The fund had expected to end the year with $10 million, according to Silbert. "We're seeing significant interest," he said. Colas added that investors have been encouraged by recent research reports on Bitcoin from two branches of the Federal Reserve. The Chicago Fed concluded that while mainstream use of Bitcoins are still limited, the online currency is a "remarkable conceptual and technical achievement" that could eventually be used by banks and governments. While it is still a very volatile currency, investors are becoming increasingly confident that Bitcoin has staying power. "There is some lasting value to the idea," said Colas. "[Bitcoin] could have gone away after the bubble burst in April, but it didn't." Bitcoin is also often discussed as an alternative to gold, since many investors see the digital currency as a way to store value. Raoul Pal, who writes the investment newsletter The Global Macro Investor, compared Bitcoin with gold to come up with a "broad guestimate" for how investors should value the currency. In a report published earlier this month, Pal said that based on the supply of gold and Bitcoin, the digital currency should be worth about 700 ounces of gold, which works out to just under $900,000 at current prices. "I personally believe that Bitcoin may well explode in value as more and more people begin to use it," said Pal. Of course, Bitcoin is still a very risky investment. Another big concern for Bitcoin? 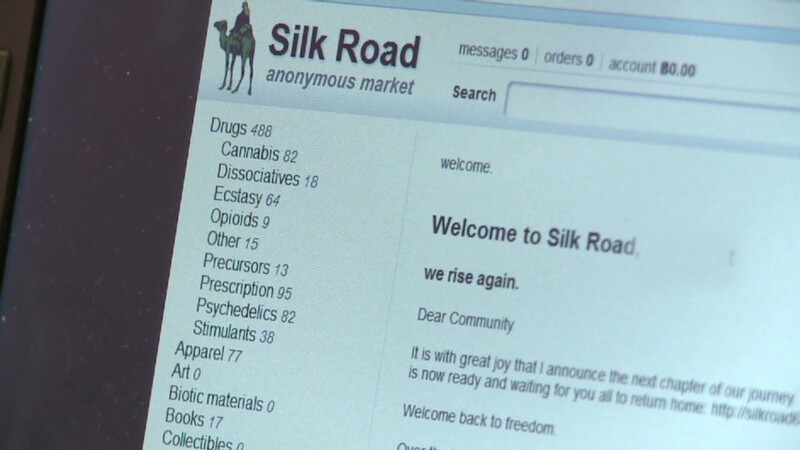 The government recently shut down Silk Road, an online market for drugs and other illicit items, which relied on Bitcoins transactions to maintain anonymity. But several Silk Road offshoots have recently surfaced. Senate lawmakers will hold a hearing next week to explore the pros and cons of Bitcoin. Silbert expects Bitcoin prices to remain volatile, but he said investors who are willing to take a gamble stand to win big if Bitcoin lives up to its potential. "Bitcoin has the potential to completely change the way people think about money," he said. "It's one of the biggest ideas probably since the Internet. And as an investment opportunity, it has significant upside." Nonetheless, the average investor still needs to be a bit cautious. Nobody looking to buy one bitcoin for around $400 should have the realistic expectation of becoming a Bitcoin millionaire.